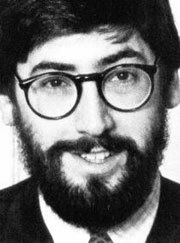 John Landis started as a mailroom clerk at 20th Century Fox, and worked in Europe for several years as a stunt man -- you can see him shot or maimed in such late-1960s fare as Charge of the Light Brigade, Once Upon a Time in the West, and numerous European films, most of which never played in America. When the bruises got the best of him, he decided to pursue his dream of directing. With funding from family and friends, he made Schlock, also released as The Banana Monster, a pun-laden horror comedy starring Landis himself as the monster. Schlock was no hit, playing mostly at drive-ins and college theaters, but it was appreciated by Jim Abrahams and David and Jerry Zucker as they concocted their Kentucky Fried Movie. Landis came aboard to direct it with exactly the right manic slapstick sensibility, and he seemed like the right man to helm a low-budget college comedy starring a TV comedian, John Belushi. Animal House, of course, was a success beyond the studio's wildest dreams, and Landis was suddenly the golden boy of Hollywood. Given a generally free hand, he turned out several big hits, including The Blues Brothers with Dan Aykroyd and Belushi, An American Werewolf in London with David Naughton and Griffin Dunne, and Trading Places with Aykroyd and Eddie Murphy. Disaster struck while Landis was directing the war story segment that opened Twilight Zone: The Movie. A special effects explosion threw debris upward into a helicopter, causing a crash that killed two child actors and the segment's star, Vic Morrow. Landis and three technicians who had worked on the set were charged with involuntary manslaughter, and all of them were eventually acquitted, but the court case lasted almost a decade. Landis has had occasional success since the accident, but in retrospect, the Twilight Zone tragedy marks the end of his Midas touch. He scored a major hit with Murphy's Coming to America, and turned out a few very funny films that never quite found their audience, including Spies Like Us with Aykroyd and Chevy Chase and ¡Three Amigos! with Chase, Steve Martin, and Martin Short. He directed Michael Jackson's video for "Thriller," and produced HBO's Dream On, but most of Landis's recent films have been poorly received, including Blues Brothers 2000 with Aykroyd and John Goodman, and Susan's Plan with Nastassja Kinski. He has worked as an actor, early in his career to pay the bills, and later just for fun. He played a nun and served as an assistant director in the war comedy Kelly's Heroes with Clint Eastwood and Don Rickles. If you look closely, you can spot Landis in Battle for the Planet of the Apes, 1941, The Blues Brothers, Eating Raoul, and Spider-Man 2. He has also worked as a puppeteer, performing as Grover in The Muppet Movie.